A recent book by best-selling detective author Michael Connelly is entitled Two kinds of truth. What he is referring to is the truth that a jury decides and the truth of what actually happened. This dual-reality can sometimes be found in various places in the world and its stock markets. Take for example, the switch of failed mining and oil and gas companies entering the marijuana sector – now totaling over 40 – with a combined value of some $32 billion. In a related development, with razor-thin profits growing vegetables on extremely pricey farmland in Delta, a suburb south of Vancouver, no wonder its giant greenhouses are switching to pot that can generate revenue of 10 – 15 times vegetable production, according to the Delta Optimist. What is amazing is the size of cannabis greenhouses. One company is planning several million square feet of pot production – and that’s only one company in one municipality. So here is the dual reality. Do you think that 40 listed marijuana companies are really worth $32 billion? A related question is: do pot growers actually expect an utterly fantastic surge in demand when marijuana becomes legal in Canada later this year? It’s hard to believe either of these so-called realities can be true. Marijuana has been popular since the late 1960s. People who like it are already customers of the black market. They are also aware of its medicinal benefits. 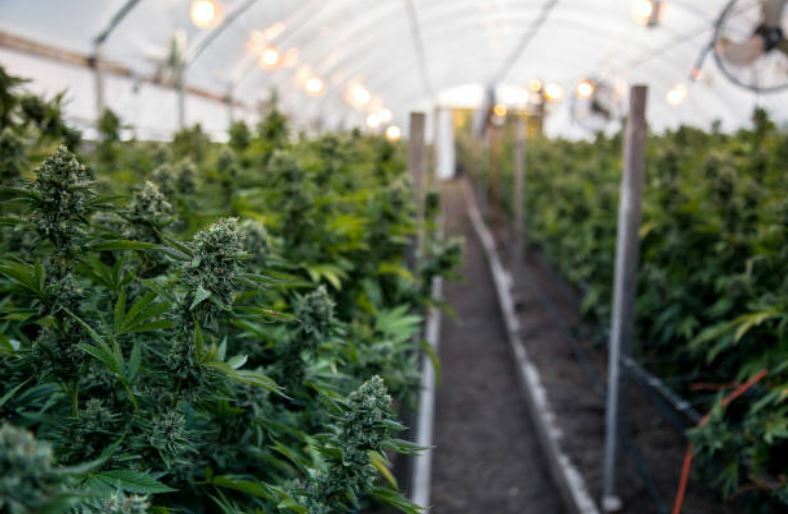 Since that is the case, how can listed marijuana companies and greenhouse operators conclude there will be a new and incredible demand in a few months? Like anything else, there is a limit to demand. Here is another case of dual realities. Both investors and junior mining companies are grateful that the battery, or energy, mineral sector for electric cars is flourishing; however, things may not be quite as they appear to be in some cases. David Booth of the National Post, who writes Motor Mouth online, recently pointed out that 35% of cars sold in Norway are electric. How green, you say? Booth then goes on to point out Norway is paying for buyer electric car subsidies and other benefits with revenue from offshore oil sales. How green is that? Booth also noted that while China may be building many electric cars, coal-fired electricity could increase by as much as 100 gigawatts by 2020. And now China is exporting its coal-fired technology to other countries such as Egypt and Pakistan? How green is that? There on TV last weekend was Premier John Horgan of British Columbia and Washington State Governor Jay Inslee saying how they are opposed to the twinning of the Kinder Morgan Trans Mountain pipeline from Alberta to tidewater in Burnaby, BC for fear of oil spills at sea. Meanwhile, the United States has 500 tankers a year going down the BC coast from Alaska to feed Washington State’s five refineries. So it’s OK for the U.S. to have 500 tankers cruising along our coast, but Canada shouldn’t have any more. Of course Governor Inslee doesn’t want the Kinder Morgan twinned pipeline to be built because the U.S. is Canada’s only petroleum customer. They get a huge discount (something like $24 per barrel) which adds up to some $43 million a day that Canada should be getting and will get if the pipeline is built to the ocean. Just think of the millions of dollars in taxes and royalties that Canada doesn’t receive that could go to schools, hospital, roads, etc. My question is: Why aren’t the Trans Mountain pipeline protestors protesting the hundreds of American tankers already on the BC coast? Are they really being green in these circumstances? For the record, the existing Kinder Morgan pipeline has been in operation since 1953 with no serious ocean spills – that’s a reality.